When you are confronted with a damaged windscreen at your VW Crafter, it goes without saying that you will want to have it repaired as quickly as possible and without any worries. A VW Crafter is therefore a commercial vehicle, which may prevent you from carrying out your work to the best of your ability. A broken windscreen replacement of your VW Crafter can be done perfectly by one of our FOCWA certified partners, without you having to take high costs into account. Would you like to know more about this? We will tell you all about our interesting solution to replace a VW Crafter windscreen on this page! The VW Crafter has always been an anonymous car. This is striking, because the VW Crafter has appeared in many different versions and she also achieved more than satisfactory sales figures. Of course, the partial anonymity is mainly due to the fact that this is a purely business vehicle. As a successor to the Volkswagen LT, it also had to maintain a certain standard. Did you also know that the VW Crafter, like its predecessor, was produced in collaboration with Mercedes-Benz in Germany? This cooperation made it possible for the latter to develop a similar Mercedes-Benz Sprinter. 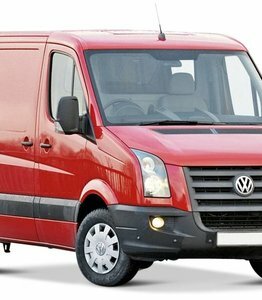 When is a broken windscreen replacement of the VW Crafter mandatory? Is it always mandatory to replace a windscreen in the event of damage? It is a question that many people who own a VW Crafter regularly ask themselves. This is mainly because many of our competitors want to make their customers believe that this is always the case. However, the reality is different. The damaged windscreen replacement of your VW Crafter is only necessary in order to prevent a rejection of the APK at the moment that a single crack is a nuisance for the driver of the car. For example, is there a crack right in your field of view? In that case, it is better to inform yourself immediately about the VW Crafter windscreen costs. Not having this damage repaired may result in a rejection of the APK. It goes without saying, however, that you are keen to avoid them at all costs. In most cases, people still automatically choose to buy an original windscreen by replacing the broken VW Crafter windscreen at the brand dealer. Of course, there is nothing wrong with that in itself, but it does come at a very high price. This high cost price is not caused by a better quality compared to an after market windscreen, but by the presence of a brand logo. This brand logo ensures that there is a restriction on sales. Only authorised brand dealers are allowed to sell these original windscreens in the first instance. Occasionally the second-hand market may be found on the market, but even there the purchase price is still very high. Now that you already have a certain idea of the possibilities to limit the price of the new VW Crafter windscreen, we can go into more detail about the different versions in which this car is available. The fact is that the Volkswagen Crafter cannot be purchased exclusively as a normal van. It is therefore available as a passenger version and there is also a special pick-up version. To complete the range, the VW Crafter can also be ordered as an empty chassis. This ensures that this Volkswagen business car is able to reach a fairly broad target group. What does it cost to install a new windscreen if you choose to outsource it to a real expert if you do not have this expertise in-house? In addition to the cost of a VW Crafter windscreen, this is the second question you will undoubtedly have to ask. The cost of replacing the windscreen of your VW Crafter can also be greatly reduced. However, we always call on one of our FOCWA certified partners to perform this task. These experts are outstanding experts in their field, so that the windscreen replacement of your VW Crafter can always be done in the best possible way. In addition, these experts can also come on location, which of course is nice to include in particular with a completely shattered windscreen.